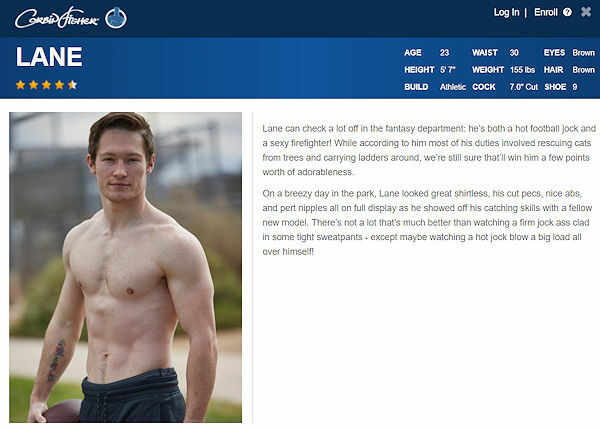 Corbin Fisher introduced Lane back in November 2017. In his 6th scene on the site, he was finally the bottom with Max as his top. This is not his first time as a bottom. He was on Boys Halfway House as Lane Axton.